Besides being a costly input considerable losses of chemical fertilizers occur that add to environmental pollution and reduced nutrient use efficiency. 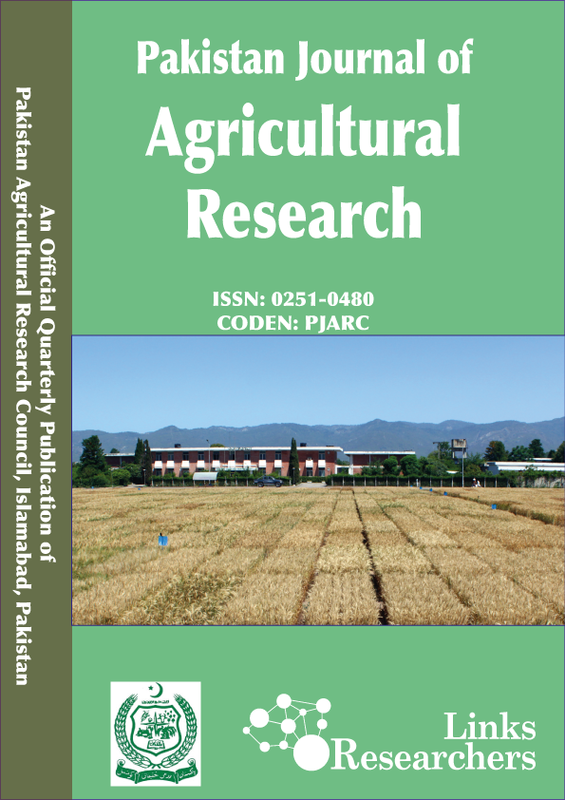 However, plant growth promoting rhizobacteria (PGPR) are cheap and excellent alternate and can be applied as seed inoculation to enhance nutrient use efficiency along with reduced nutrient losses. A field experiment was conducted to evaluate the effect of seed inoculation viz. control (no treatment), Rhizobium japonicum (nitrogen fixing bacteria) and Pseudomonas fluorescens (phosphorus solubilizing bacteria) on growth, allometric traits and dry matter yield of different soybean genotypes viz. EBR4V4, Freedom and Swat-84. Seed inoculation significantly improved the total chlorophyll content, leaf area index, leaf area duration, crop growth rate and dry matter yield. Seed inoculation with P. fluorescens produced more pronounced results for all the studied traits as compared to R. japonicum. The tested genotypes of soybean did not differ for allometric traits and dry matter yield; however, EBR4V4 produced the tallest plants. In conclusion, seed inoculation of soybean improved the growth, allometric traits and dry matter yield of soybean, and could be employed for the betterment of crop productivity.